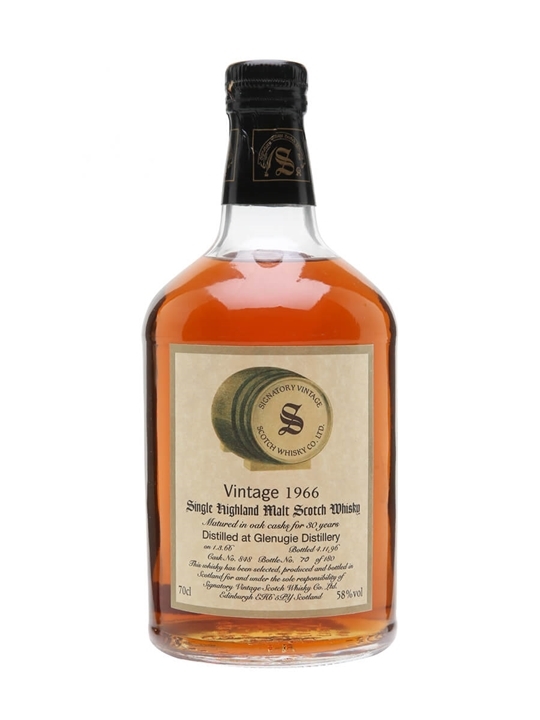 70cl / 58% / Signatory – A 1966 vintage Glenugie bottled by independent bottlers Signatory. A very rare malt, no official bottlings were ever released and independent bottlings weren’t very numerous either. As the distillery closed in 1983, bottlings are becoming harder to find and are in high demand.